An upsurge in residential development approvals across the Gold Coast should not spark speculation of a looming property glut, according to leading property figure Andrew Bell. The chief executive of the Ray White Surfers Paradise Group said talk of an oversupply of residential dwellings was premature given that many of the approvals had not moved to their construction phase and a fair proportion were unlikely ever to be built. Mr Bell said there were compelling reasons why residential approvals had jumped to just over 6700 dwellings in the past 12 months, up 50 per cent on the previous year. Andrew Bell[/caption]“We have to remember that the city is still playing catch-up on a seven-year hiatus in residential construction that was sparked by the global financial crisis,” he said. “There was very little new stock of any note brought to market during those years, which has created a serious lag in supply amid rising demand. 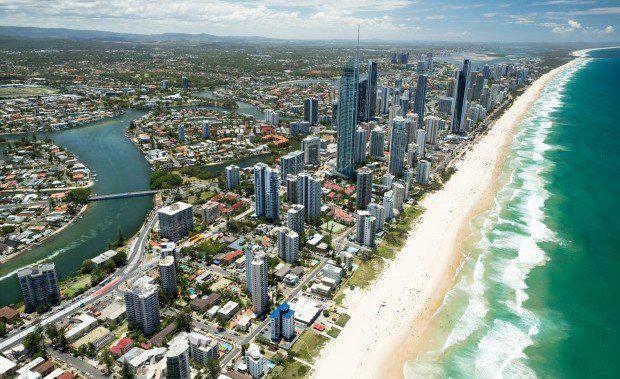 “This has contributed to the Gold Coast now having an extremely tight rental vacancy rate of 1.1 per cent, a level which typically reflects a critical undersupply of residences. Mr Bell said an oversupply situation could only be assessed on the basis of what approvals actually moved to the construction phase. He said it was widely acknowledged that around one in five approved developments of all types nationally never made it to construction for various reasons. “In the high-rise apartment sector it is understood that the proportion of approvals that don’t go ahead is considerably higher and possibly as much as 40 per cent,” he said. “In high-rise development, developers have funding, pre-sale and contractor issues to sort out before they can turn the first sod, which can create long lead times for a project or cause it not to proceed at all. “There are also people who buy sites, gain approvals and attempt to on-sell with approval in place to add value to their land without intention or interest in seeing the project through personally. “If they don’t find a buyer, the approval eventually lapses and the project doesn’t go ahead.